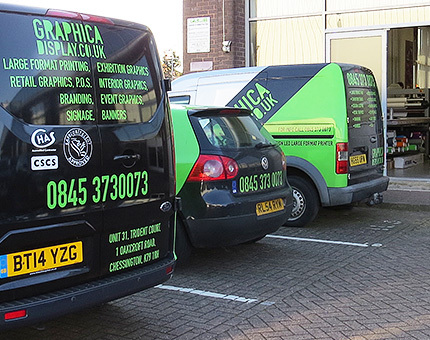 We supply professionally designed and manufactured graphics and signage and have done so for over 10 years. Below are some details on different aspects of how our business can help produce your next requirement. If you have any questions please don’t hesitate to contact us. 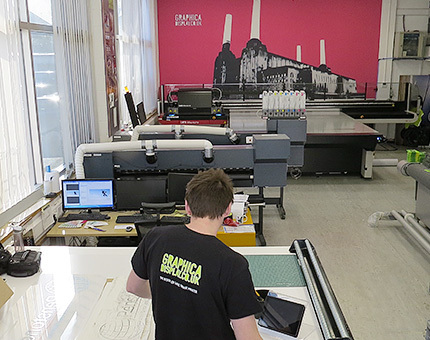 We are always happy to print and produce from print ready artwork, but certain jobs need some design, art-working and setting to help get the files in the right format and ready for production. Please contact one of our sale teams for a quote and to talk through your next project. 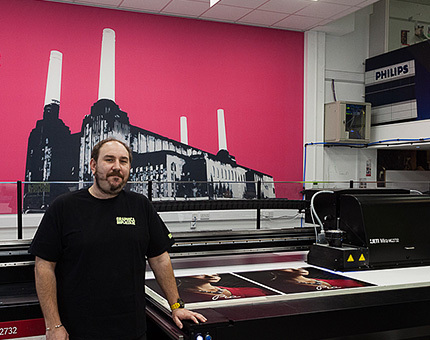 We are the first UK Company to have an AGFA Mira Direct to Media Printer. It prints anything onto flat sheets and has a white ink channel for clear materials. We have also invested in a UV Varnish Head, ideal to offer some depth into your print and copy. We have three employed teams based out of our works in Chessington who professionally site survey and install any graphics requirements. 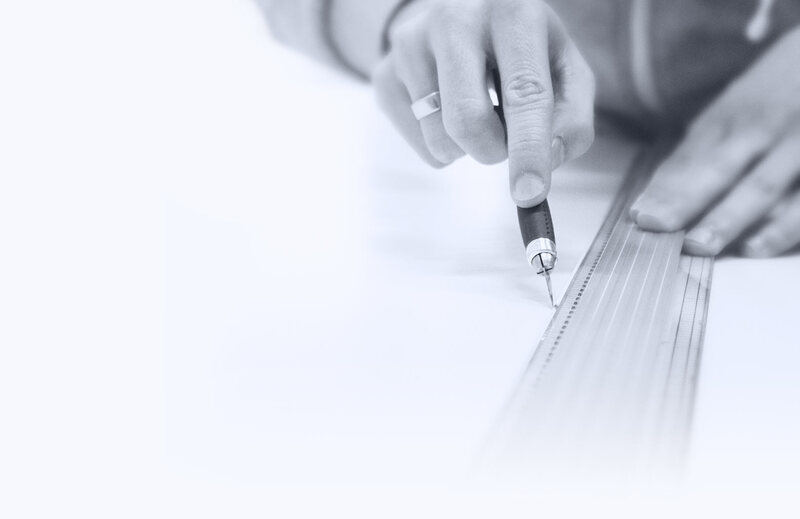 We have over 20 trusted contractors nationwide to keep costs down in the UK. We manufacture various kinds of lightboxes in either fabric or acrylic. We can print any graphics requirements and even powder coat the lightbox edges in any colour to help tie in with your brand. We also offer a full site survey, design and install service. 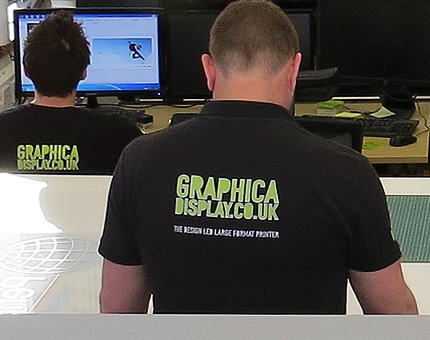 There are many ways of finishing your graphics - from laminating films to protect your print, cutting and weeding. 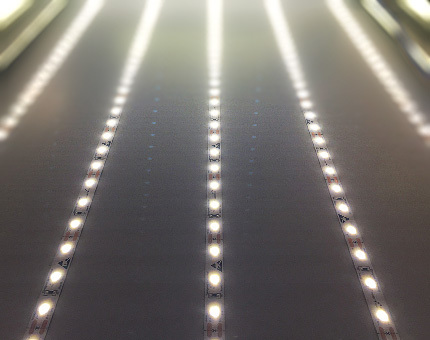 We run a 2M wide heated laminator and it offers a great quality finish every time. For customers who require roll out or a distribution service for their promotional graphics we offer a full pick and pack service and tracked distribution. We will also keep overs back on any promotion in case a pack goes missing. 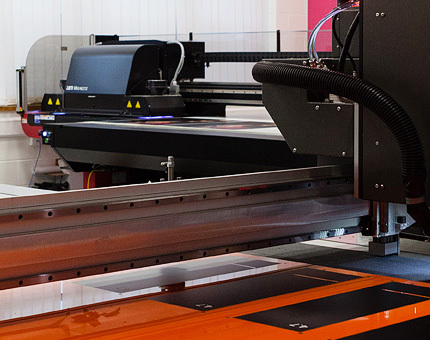 We have just invested over Â£150,000 in a new Flat Bed Router and Laser Cutting System. 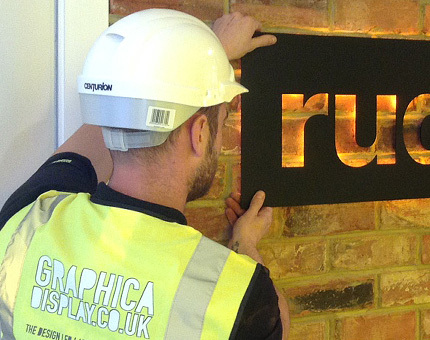 We can now cut any signage / graphics in house and make them up into any designed format. 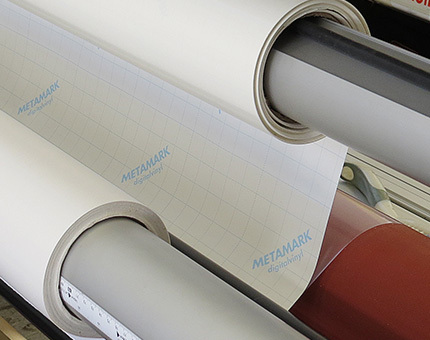 We print using both aqueous and solvent based inks for vinyl printing. We have a 2M roll to roll unit on our UV Printing AGFA which is great for optically clear films, please call us for more information.